The 2019 Embedded World Conference and Exhibition was here and gone in a flash, once again setting records for attendance and innovation. 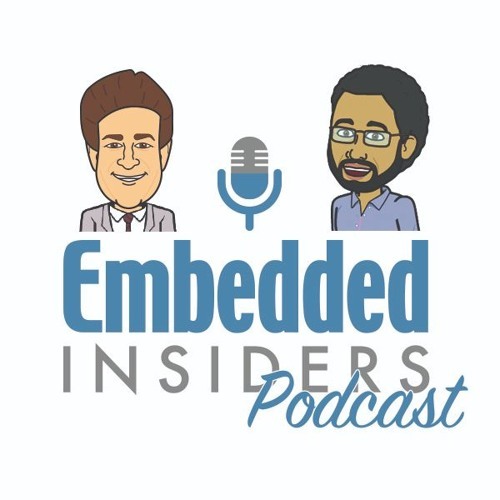 The Embedded Insiders Rich Nass, Brandon Lewis, Alix Paultre, and Laura Dolan dedicate this special episode to some of the most groundbreaking solutions on display at this year’s event, which also happened to be the recipients of Embedded Computing Design’s first-ever Best-in-Show Awards. 22 Best-in-Show Award winners were selected from categories including: - Microcontrollers, Microprocessors & IP - Development Tools & Operating Systems - Power ICs & Related Components - Computer Boards, Systems & Components - Artificial Intelligence & Machine Learning - Embedded Security - Embedded Storage - Wireless & Wired IoT Connectivity For more information on the winners, visit bestinshow.embedded-computing.com/shows/embedded-world-2019.